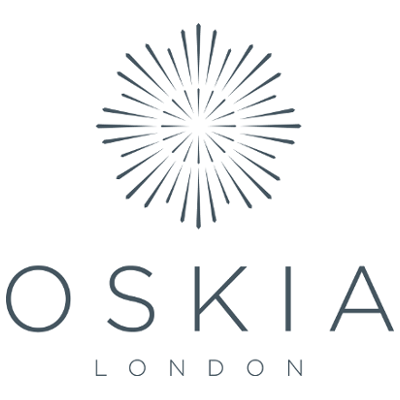 Designed to increase cell turnover, boost radiance and packed with OSKIA’s trademark blend of beauty-boosting nutrients, this luxuriously-textured exfoliating mask leaves the complexion smoother, more refined and illuminated. Our testing panel thought its natural perfume so delicious they wanted to eat it! 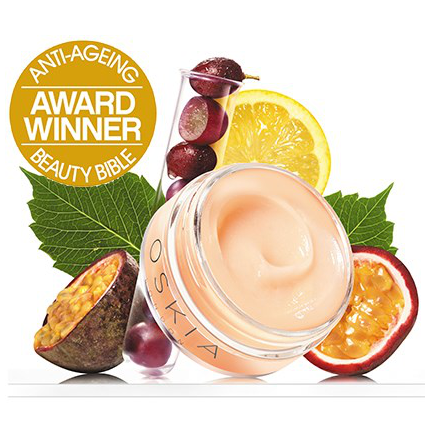 Suitable for all skin types and with a fresh aromatic scent combining rose, passion fruit and chamomile, all organically certified, OSKIA’s Renaissance Mask works hard to remove tired skin cells and boost cell regeneration and ATP energy without aggressively stripping the top layers of the epidermis. Pink initially, the luxurious and uniquely textured cream turns white once properly massaged into the skin, helping clients know when it’s been applied effectively. • Natural Fruit Acids (AHA’s), including passion fruit, lemon, grape and pineapple fruit acids exfoliate by gently unbinding cells in the top layer of the skin to activate renewal. • Enzymes from papaya remove excess and tired skin, cleansing thoroughly and clearing congested pores. • Lactic Acid reduces the appearance of fine lines by increasing cell turnover while softening skin. • Butterbur soothes irritation and aids healing. • Swiss Garden Cress Liposomes leave the complexion balanced, even and bright by reducing melanin production by 47%. • Prebiotic Alpha-Glucan Oligosaccharide prevents bacteria colonisation and keeps skin healthy. • Apply to freshly cleansed, dry skin and leave for 10-20 minutes, depending on your skin type. • Massage into the skin for a few seconds to activate the ingredients (it will turn white). • Sensitive complexions should start at 10 minutes. • Just before washing off, splash a little water and massage again. • This allows the mask to turn into a milk consistency activating the second phase. • It's very easy to wash off and leaves skin feeling peachy clean. • Keep out of contact with water and away from cold temperatures. • Small granules can form if left in a cold, damp environment, but do not affect the product's efficacy. I bought this mask through Latest in Beauty as a trial size. 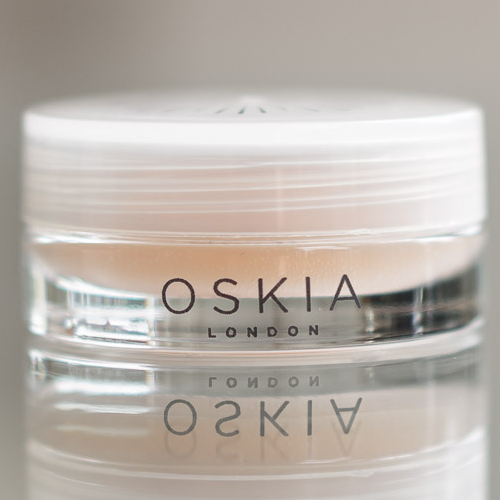 Oskia has been on my radar for a while and this was my first experience with one of their products. The mask is amazing. I've been having problems with hormones making my skin sensitive and prone to redness. The Renaissance Mask as a twice weekly treatment has helped so much. 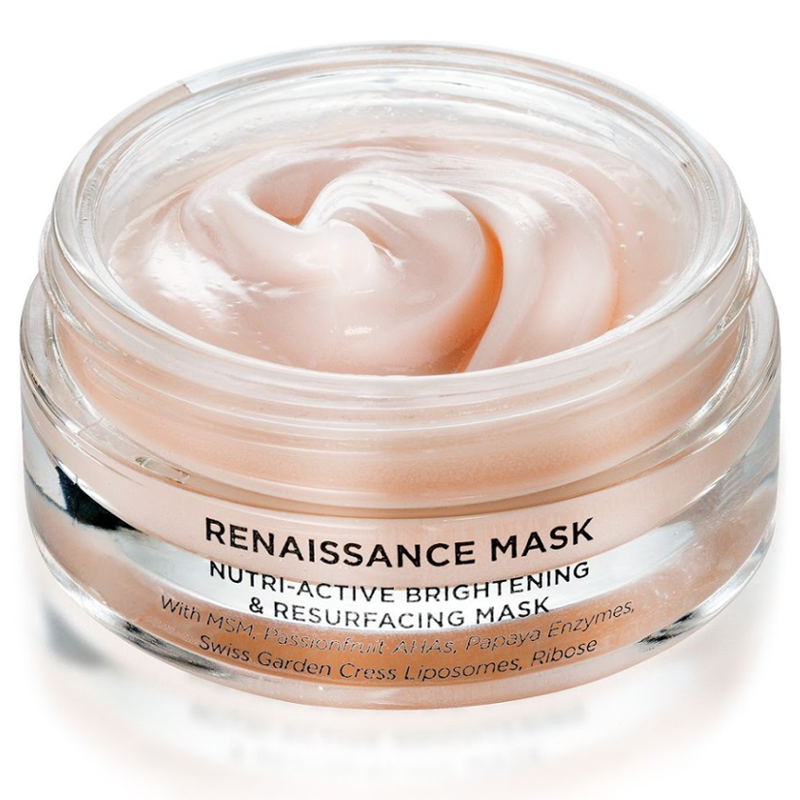 Along with another anti-redness treatment I'm using, the mask helps to hydrate, sooth and calm my skin. I layer it on after cleansing, then go chill out for twenty minutes or so, letting the mask do its work. Its pricey, but I think well worth it and its definitely going on my buy again list. Hydrates the skin and minimises the appearance of lines and wrinkles. "I bought this mask through Latest in Beauty as a trial size. Oskia has been on my radar for a while and this was my..."